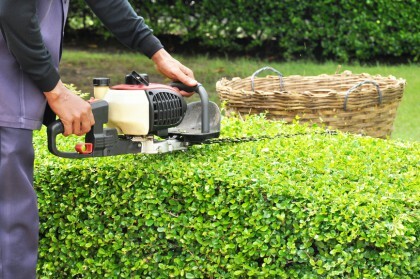 So you may be wondering what the important is of having Fayetteville landscape maintenance, so let us tell you a little bit about that. Getting professional landscape installed is just the start; making sure that it continues to look amazing is what makes all of the difference. The good news is that the team here at our Fayetteville landscaping company is ready, willing and beyond capable of taking care of this, and any services related to your yard. Once you have the yard of your dreams through our expert landscaping, you are going to want to keep it looking its best. There is nothing worse than getting your yard fixed up and then letting this stunning work simply fall apart. So let our team be there in order to address all of your service needs, from start to finish. Our work is never complete once the design is carried out; we will be there to maintain the work we do, as well. Weeding – Obviously, the last thing you want is for your perfect looking landscaping investment to end up covered in weeds so we deal with removal and, when needed, choose the right herbicide to use to address more invasive types of weeds. Weed Prevention – Better yet, we can help address weed preventative measures in order to reduce the likelihood of weeds even appearing at all. Insect Control – It is important to work only with experienced professionals familiar with the insects of the region in order to work at preventing or eradicating the insects that can make an appearance. Whenever possible, we opt for an approach that doesn’t require chemicals. Of course there are also other tasks that should be covered, such as fertilizing, leaf removal and taking care of planting areas. Without the proper training, this is not something you can take care of on your own, nor would you have the time required to dedicate to it. Don’t fret, just call on us to take care of it for you. So what are you waiting for when we could be taking care of this for you right now? 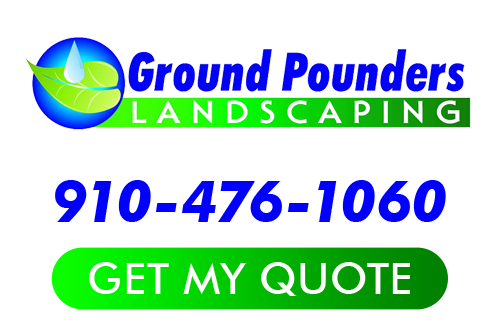 When it comes to your Fayetteville landscape maintenance, let our pros here at Ground Pounders Landscaping be there for you. We look forward to working with you and providing you with the high quality results only true experts can offer. Don’t keep putting off until tomorrow, what we can take care of for you, right now. If you are looking for a Fayetteville Landscape Maintenance expert then please call 910-476-1060 or complete our online request form.